Assemble one DC input power cable for each DC power supply in your server. Install a DC power source that meets the server's input power specifications. Secure DC power cables that meet the server's power cabling specifications. See DC Power Source, Power Connection, and Grounding Requirements. Caution - Before proceeding with these instructions, turn off the power from the DC power source through the circuit breakers. 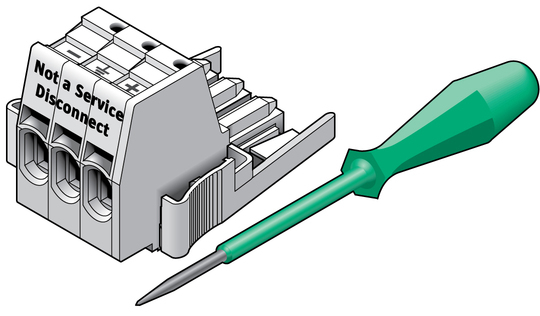 For each cable, you need a Wago DC input plug, and a cage clamp tool or small screwdriver. These items are provided in the shipping kit that came with your server. See Shipping Kit. 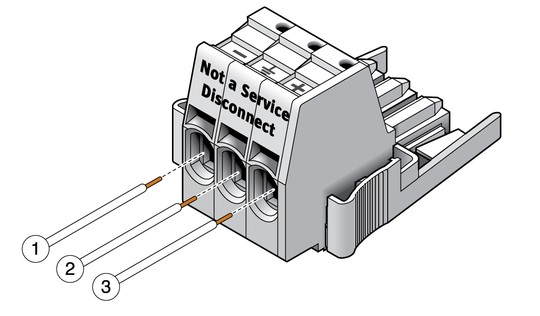 Locate the three wires coming from your DC power source that will be used in the connection to your unit. Note - Depending on the DC power source, the -48V or -60V (negative terminal) might be marked with a minus (-) symbol. The -48V or -60V Return (positive terminal) might be marked with a positive (+) symbol. Strip 1/2 in. (13 mm) of insulation from each of the wires coming from the DC power source. Do not strip more than 1/2 in. (13 mm) from each wire. Doing so leaves uninsulated wire exposed from the DC connector after the assembly is complete. 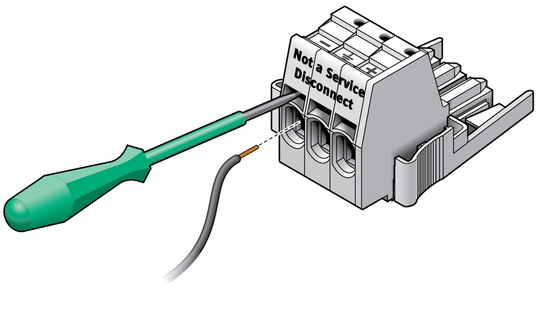 Repeat the procedures for the other two wires to complete the assembly of the DC input power cable. See Prepare the Power Cords.